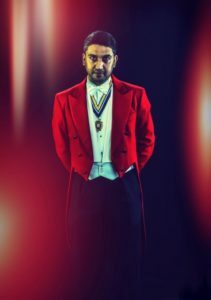 Raaj Shamji, is a trained management accountant, and a respected senior manager in student support at one of our local universities .He spends his weekends donning the red tails of the master of ceremonies for weddings throughout the country. Recognised as the UK’s first Asian Toastmaster, his interests vary from inter faith projects to watching unsigned musical talent within the region. A proud Brummie and staunch supporter of everything that encapsulates the City, his biased love can never be questioned. 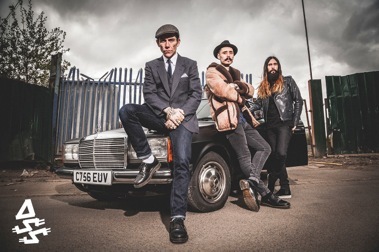 Raaj is teamed up tonight with his gas fire fitting guitarist friend Nick Crutchley who is joined on stage by his brother Jimi and master percussionist Ash Sheehan, together they are the Dead Sea Skulls. Dead Sea Skulls were born in early 2013 in Birmingham. Their sound is loud, gnarly, raw, passionate, energetic and radio friendly enough to push them to the forefront of new music. Ash, a wizard on the drums with strong, naturally raw vocals, plays front and centre. Coupled with Jimi & Nick on bass and guitar this band’s Live show is a visual and aural “Riot” that you won’t be able to tear yourself away from!! One to watch out from and one of Birmingham’s hidden gems. Tonight they will be our Birmingham Awards Band.